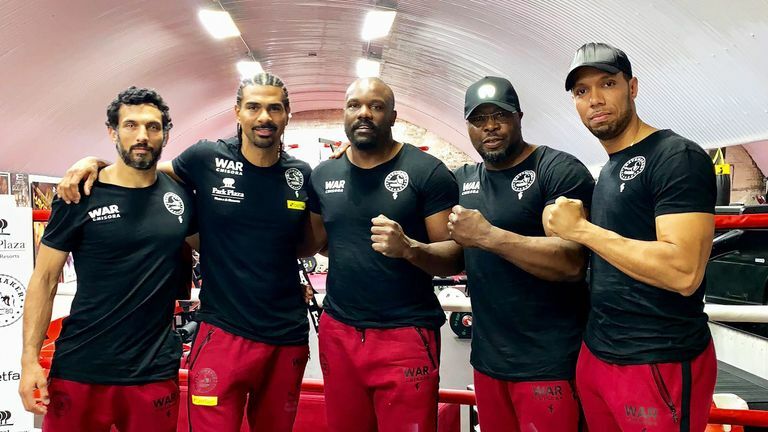 Derek Chisora and his manager David Haye gained "a lot of confidence” in their ability to trouble Anthony Joshua from his last performance. Joshua defended his IBF, WBA and WBO heavyweight titles against Alexander Povetkin in September and his next challenger may emerge from Chisora's rematch against Dillian Whyte on Saturday, live on Sky Sports Box Office. "The Alexander Povetkin fight was a very good victory," Haye told Sky Sports. "He had a cold before the fight and he still managed to put on a great performance against a tricky opponent. "The good thing for me and Derek? The things that Povetkin had success with are things that Chisora can do, if he wants to do them. The things that Povetkin had success with [against Joshua] are things that Chisora can do. "I got a lot of confidence from the fight with Povetkin in terms of Chisora potentially, one day, fighting AJ. "But that is a long way down the line. "If [Chisora] blitzes Whyte in six or seven rounds that could be a wildcard chucked into the heavyweight world mix. "Depending on how Derek looks, I'd love to chuck his name in there." Promoter Eddie Hearn said earlier this week: "If [Joshua] can't fight Deontay Wilder or Tyson Fury, we look to the winner of [Whyte vs Chisora] and say: 'that's probably where our opponent will come from'." Joshua and Chisora progressed through the same amateur gym and the world heavyweight champion backed his ally to defeat Whyte. Joshua said: "I think Derek is going to whup Dillian. I want him to. "Can it be as good, this time around? Yes," Joshua said. "I think it will be better, in terms of boxing skill. "I think they will be a little more cautious - they know what [each other] can do. They gave a lot and it took a lot of out them last time. "They learned from the first one. They put a lot on the line. In this second one, they will refine their skills. It will be a lot more technical."